ALEX Spa 3D illusion tattoos are a temporary way to make a lasting impression! 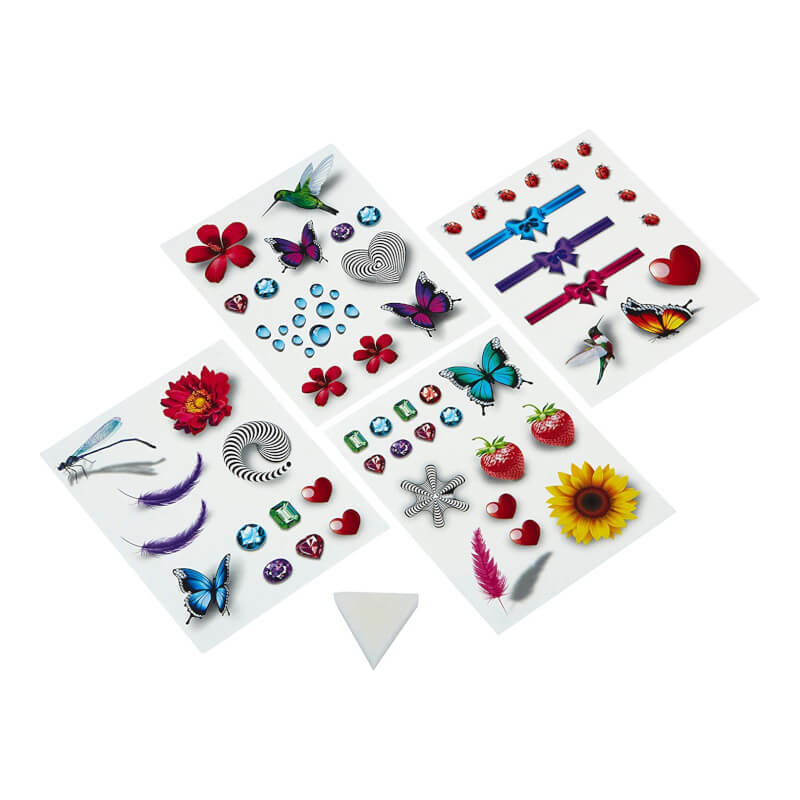 use water and the included sponge to easily apply the tattoos and butterflies, flowers and more appear to float off your body. Shadow and realistic details create an illusion of a 3-dimensional image on your arm, shoulder or anywhere you choose. Includes 55 tattoos, sponge and easy instructions. Recommended for children 8 years of age and older.